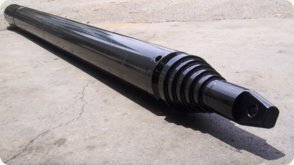 Do you need a top selling Horizontal Under Road Boring Tool or simply need to increase your fleet? Drilling and Boring Contractors for small pipes and conduits. Plumbers involve in the Trenchless industry, installing the house connections to the main services. Electricians involve in the NBN, Fiber Optic, telecomunication cable installation and other small buried utilities. You definitely know how to use a NO DIG Mole and its Quarter Turn Reverse System. If not, see the GOLD Package. You already have the air hose with the right fittings and couplings which can suit the new NO DIG Mole Pneumatic Piercing Tool (Click here to see the specifications). You already have an oiler/lubricator with the right hydraulic oil to power the new NO DIG Mole. You have your own Air Compressor. If not, see the NO DIG Mole's recommended Air Compressor here. Did we answer all your questions ?